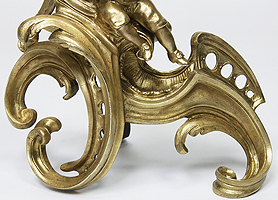 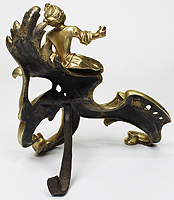 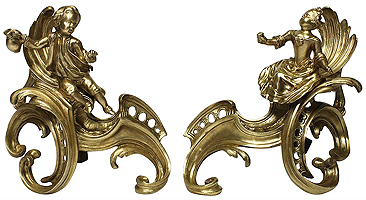 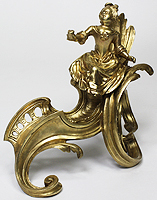 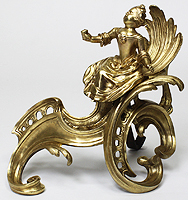 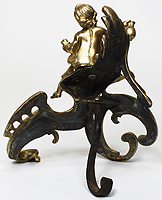 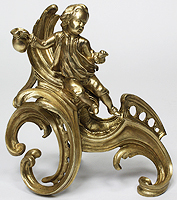 A Pair of French Early 19th Century Louis XV Gilt-Bronze Figural Chenets Andirons. 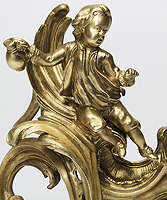 The scrolled and pierced body, each surmounted with a figure of a young boy and a young girl, both seated on an acanthus leaf. 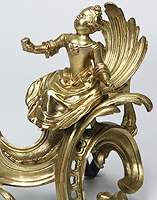 Circa: 1800.